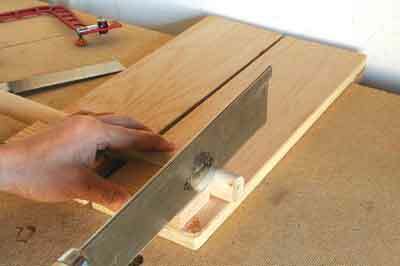 The first bench jig I made was a bench hook - but as a power tool user at that time, I hardly used it. On a few occasions, I did find it handier than a vice to cut some rods to length with a hacksaw. As my skills and tools grew to include hand tools, I have embraced it as my third hand, for not just sawing, but also some hand planing and chiselling tasks. However, when working with long stock, I had to find a spacer to support the other end. 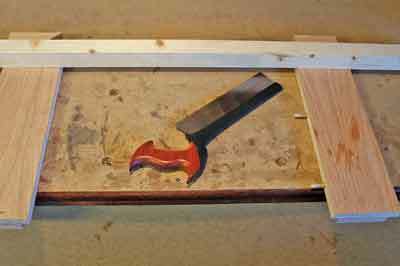 To address this similar problem, Roy Underhill, host of TV's The Woodwright's Shop, uses an old style of bench hook, which is actually two narrow cutoff hooks. 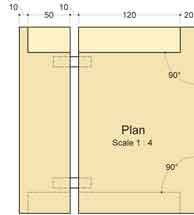 A good solution, but I wonder which would be quicker to find in my cluttered shop: a spacer or one of the likely misplaced cutoff hooks if I had actually made a pair. Instead, I came up with the idea of a split bench hook that has both the hook and spacer together. My split bench hook has four components: the stop or fence, the base, the hook and the arm, which offers support for long stock. 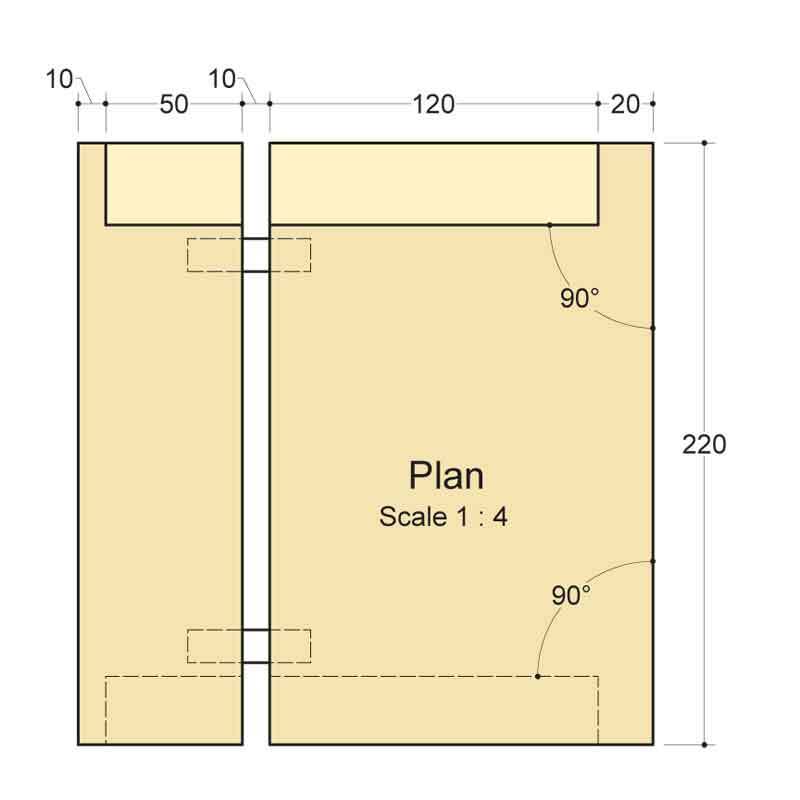 Instead of a bench hook in one piece, it is a two-piece set held together by dowels or tenons, consisting of a bench hook and an arm - an identical but narrower bench hook. 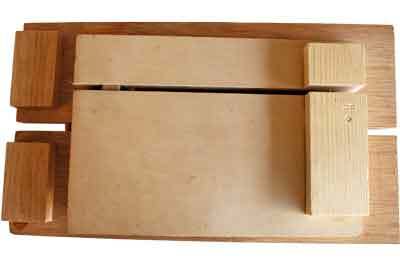 You can spice up the bench hook with other features you feel are desirable such as having a 45° slot in the stop, gluing abrasive to the stop/hook to keep the stock from moving, or even adding a toggle cramp on the stop for extra grip. 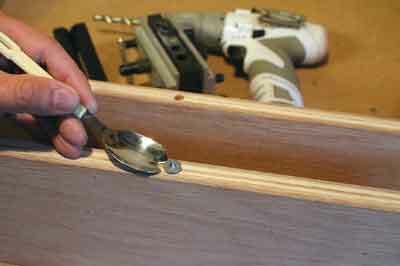 For regular tasks, use the split bench hook in one piece like the traditional bench hook. When you need to support a long stock, pull out the arm. It's that simple. 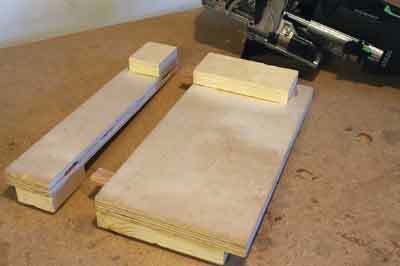 I prefer plywood boards when making jigs as they are stable, with no concern regarding grain direction and wood movement. The stop and hook are glued or screwed to the base, perpendicular to the edges of the base. As you glue and cramp the stop down to the base, it tends to slide. A nice trick to prevent that is to sprinkle a few coarse grains of salt or sand - from a coarse abrasive, for example - on the base's glue surface before you cramp. 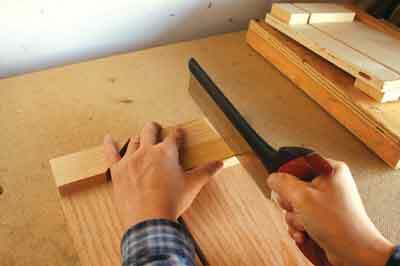 The simplest way to make a split bench hook is to make one bench hook, slightly oversize in width, and then rip it into two by hand or on the tablesaw. I then used a dowelling jig to drill holes on the sides of the base and arm for the dowels. Glue one end of the dowel into the base and slightly size down the rest of the dowel with sandpaper. Domino tenons will work equally well, but to allow side-to-side flexibility, set the mortise width dial to the middle position to cut slightly wider mortise slots. 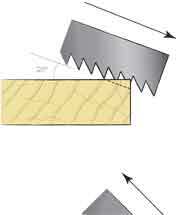 Sawing straight is a trouble spot for some woodworkers. 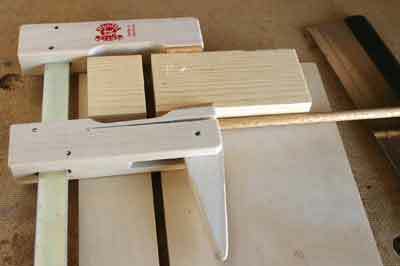 The pencil line on the stock and the top edge of the stop provide a continuous and longer line that will help align and guide the cross cutting. For beginners, placing a mirror behind the stop will help them check against their technique. Your posture is also important: standing with the leg on the off-hand side forward may help you move your arm in a straight back and forth motion. 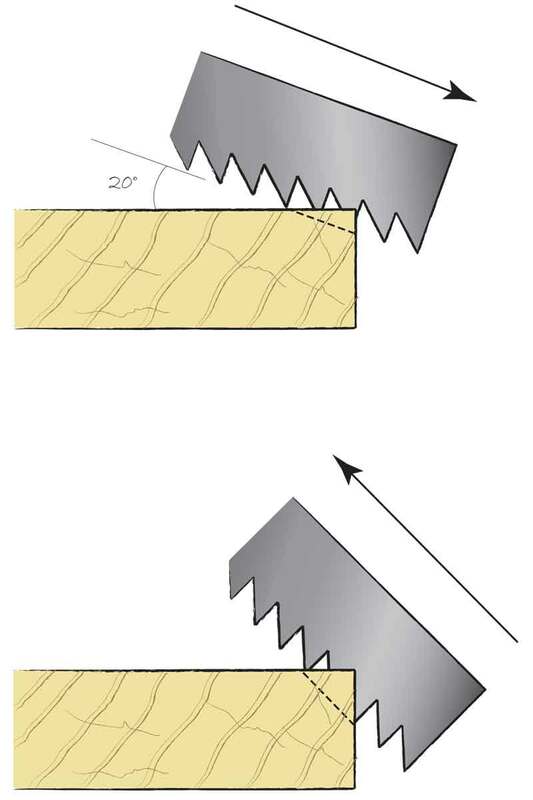 The traditional bench hook is designed for use with Western saws. 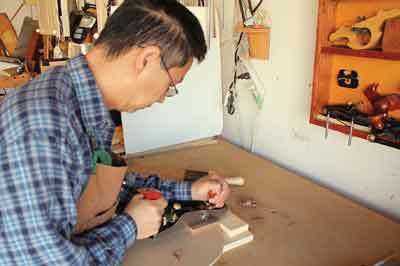 To use a Japanese-style saw, which cuts on the pull strokes, turn the bench hook around so the hook registers against the far edge of the workbench. 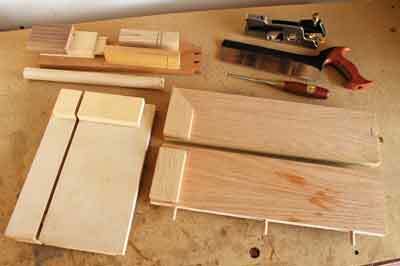 To cut pieces, such as dowels, to identical lengths, I secure a cramp to the fence as a stop block. 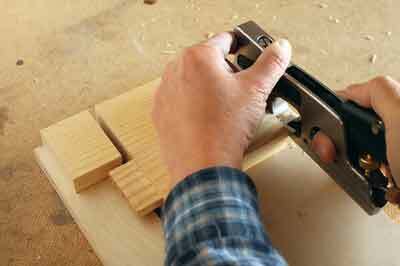 Finally, when one side of the bench hook wears out, simply flip the bench hook over and use the opposite side.